When will be Make Way For Noddy next episode air date? Is Make Way For Noddy renewed or cancelled? Where to countdown Make Way For Noddy air dates? 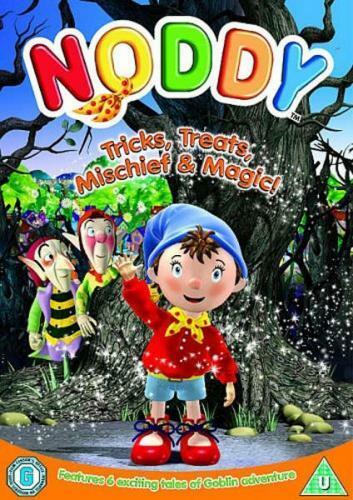 Is Make Way For Noddy worth watching? Make Way for Noddy is a British-American musical CGI-animated series for children, produced by Chorion of the United Kingdom in conjunction with SD Entertainment in the United States. Based on Enid Blyton's Noddy character, it originally aired in 12-minute segments as part of the Milkshake programme on Britain's Five, from 2 September 2002 until 2008. EpisoDate.com is your TV show guide to Countdown Make Way For Noddy Episode Air Dates and to stay in touch with Make Way For Noddy next episode Air Date and your others favorite TV Shows. Add the shows you like to a "Watchlist" and let the site take it from there.